The trees of the forest stand tall as if straining their necks to get a better view of their majestic ceiling. 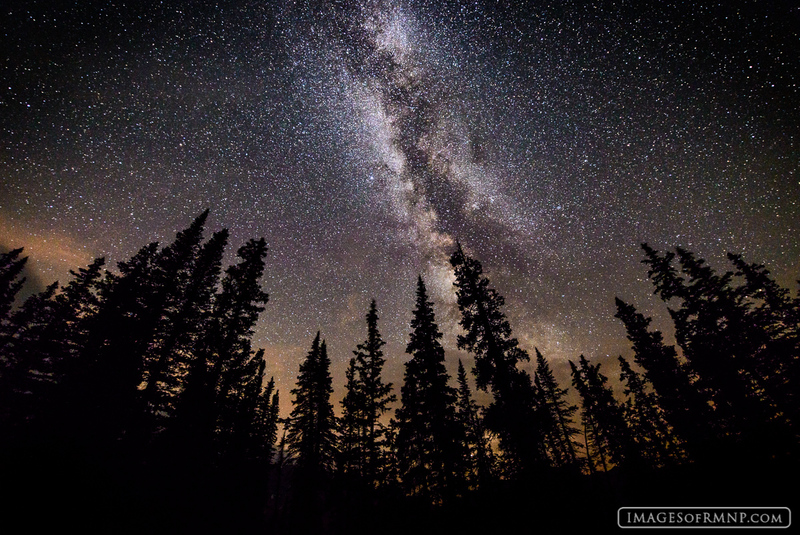 A multitude of stars and the Milky Way are on glorious display on this cool August evening deep in the heart of Rocky Mountain National Park. Photo © copyright by Erik Stensland.